When it comes to trading and making a profit it is not only football & horse racing that we like to use. In fact one of the most overlooked sports for trading on is Tennis. Well fear not as we have just the product for you as there is never been a better time to get familiar with all the strategies and ideas, so you are all ready for the tennis year ahead. 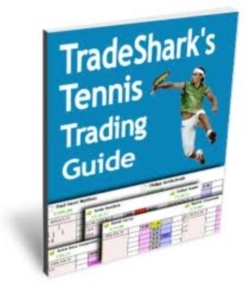 Seriously you cannot do better than taking a look at the work of good friend of bet72, Paul Shires aka Tradeshark and his excellent Tennis Trading Guide. 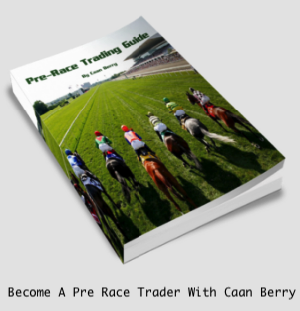 The guide really does contain everything you need to get started in the world of successful Tennis Trading…..
And do drop us a line if you need any further info and questions you have or even just to boast about your tennis trading profits! And you cannot do better than taking a look at with good friend of bet72, Tradeshark and his excellent Tennis Trading Guide. And this guid just got a whole lot better and there is still time to grab one of the hottest deals of the summer so far. If you already have an active subscription for The Geeks Toy, your 3 months will be added to the end of your current time. Special Offer – Another great offer from TradeShark and Geeks Toy! Buy membership to TradeShark Tennis which includes the Tennis Trading Guide and get 3 months access to The Geeks Toy included. So you’ve discovered Betfair and you’re looking for the right sport to trade? Or maybe you already make a little money on Betfair but you’re looking for other markets? This amazingly simple learning system is for you! I stumbled across Betfair trading in around January 2008. I tried trading pre race horse races but was limited as to when I could trade that market. I have always loved tennis and used to play regularly when I was younger so I looked into ways of trading it. I now trade tennis fulltime. The tennis season lasts about 11 months of the year with the off-season being throughout December. Every week there is at least 1 tournament from either the ATP Tour (Men) or the WTP Tour (women). ALL ATP and WTP matches are In Play markets on Betfair. This means you can place back and lay bets during the game. – Unlimited email support and advice. All the information is delivered to you as a website. I have chosen to do things this way so its easier for me to keep the site updated and also so that you don’t have to pay for any updates as you do with normal ebooks! Now if you’re looking for ways to trade tennis the chances are that, like me, you have Googled the subject to death! I spent literally weeks trawling the internet for strategies and ideas for trading this market. There are no end of “experts” telling us that the tennis markets are perfect for trading because the price swings are huge. They say that tennis trading is the most profitable for trading and it is incredibly easy to do. What they DON’T tell us is HOW to trade it! So I looked on the forums for the elusive answers. Time and time again I would see someone ask a simple question and all the forum members would throw their arms in the air and shout, “FISHING! !” What they were saying was that it was very wrong of that person to be asking how to trade tennis. They have the secrets and they don’t want you to know! In the end I had no option other than to learn it for myself by trial and error. This was very frustrating and cost me a few trading banks. Gradually I started to come up with ways of predicting which way a player’s price would move and how to profit from it. During my quest for knowledge the frustration was intense. I wasted so much time trying to find out the basics. I could have been using that time to develop those ideas to suit me. That is the reason for this site. Maybe I can save you a little time and also a little money by limiting losses! Included in my guide are two excitingly simple strategies that a beginner can use pretty much straight away. In these strategies I give you the exact point at which to enter a trade and the exact point to exit the trade. Also I have taken any decisions away from the novice trader with very basic, easy to follow instructions on what to do if the trade doesn’t work the way we wanted. By following my very simple rules the risk to your trading bank is kept very small. My guide to trading tennis on Betfair contains simple strategies that you can use to secure a profit regardless of who wins the match. If you’re familiar with trading and “Greening up” then you know what I am talking about. If its new to you, you’re in for a treat! With each strategy I have included a video of me using the strategy so you can see how it works. Something that is vital in any trading strategy is to know what to do when a trade goes against you. Included in the guide is a step by step account of how I manage this exact situation. I have also included a video of me using my “Halfs and Doubles” strategy for when a trade goes wrong. In addition to the strategies and tutorial videos you will gain access to the members area. Here, you will find daily match tips and advice on how to trade them. You can also email me directly to request an overview or advice on an upcoming match. I will respond to all emails personally. You can also email me with any questions about Betfair trading in general. This has just landed in our inbox from good friend of ours, Paul Shires aka Tradeshark and it could be one of the best investments you make this summer. Not only can you get your hands on the best tennis trading guide on the planet but also one months access to his sensational new tennis tipping service for one amazing price. This really is advantage Bet72 readers! Over to Mr Tradeshark himself to tell you more…. My Tennis Trading Guide has been going since 2009. It has been constantly upgraded and is still the best tennis trading guide out there. All the information is delivered to you as a website. I have chosen to do things this way so it’s easier for me to keep the site updated and also so that you don’t have to pay for any updates as you do with normal ebooks! I have shown these strategies to many novice tennis traders and they have all loved them! My guide to trading tennis on Betfair contains simple strategies that you can use to secure a profit regardless of who wins the match. If you’re familiar with trading and “greening up” then you know what I am talking about. If it’s new to you, you’re in for a treat! In addition to the strategies and tutorial videos you will gain access to the members area. Here, you will find daily match tips and advice on how to trade them. You can email me directly to request an overview or advice on an upcoming match. I will respond to all emails personally. During the recent French Open we enjoyed a fantastic strike rate…. ALSO INCLUDED – “Wins a Set” list. Sent out daily. Tips are posted on the Shark Tips page. There is a link to the page at the top of this blog. (visible when you subscribe). They will also be emailed to subscribers. Tips are posted early each morning or the evening before if possible. Note if the tournament is in America the tips may not be posted before noon but every effort will be made to get them up as soon as is practical. Tips are only posted if they qualify through my selection process. If no matches qualify then I won’t post any picks for that day. On rare occasions I will be unable to post. I reserve the right to not post every day though I would prefer to post tips every day that has qualifying matches. During Wimbledon you can get the Guide plus a month’s subscription to Shark Tips which is my tennis betting tips service for a reduced price.